Rather than buying your Christmas wreath this year try making one. It can become a family tradition and they also make a thoughtful gift. Let your imagination go and create a unique wreath for this year and beyond. This is a guide about making a Christmas wreath. Whenever I am on vacation or when I visit parks, beaches, or even just local walks, I love to collect pretty plants, pods, shells, etc. So this year I decided to glue my natural treasures onto a dollar store wreath and display them! Just a simple tacky glue project, but I love the natural look and it serves to remind me of treasured walks with my loved ones. Good project for children too! If you'd like something a little out of the ordinary hanging on your front door this winter then this wreath is just for you. Cut the tulle into 2 - 3 inch squares. They do not have to be exact. To attach the tulle to the wreath, gather all four corners of a square together and stick a straight pin through them. Push the pin into the foam wreath form. 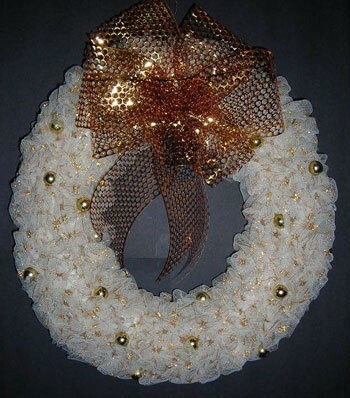 Continue in the same manner and attach all the little "puffs" to cover the front of the wreath form. To make the bow, wrap the ribbon around a 7 onch piece of cardboard. Slide the ribbon off the cardboard and wrap wire around the center of the ribbon loops. Separate each loop to make a full-looking bow and attach the bow to the wreath with wire. 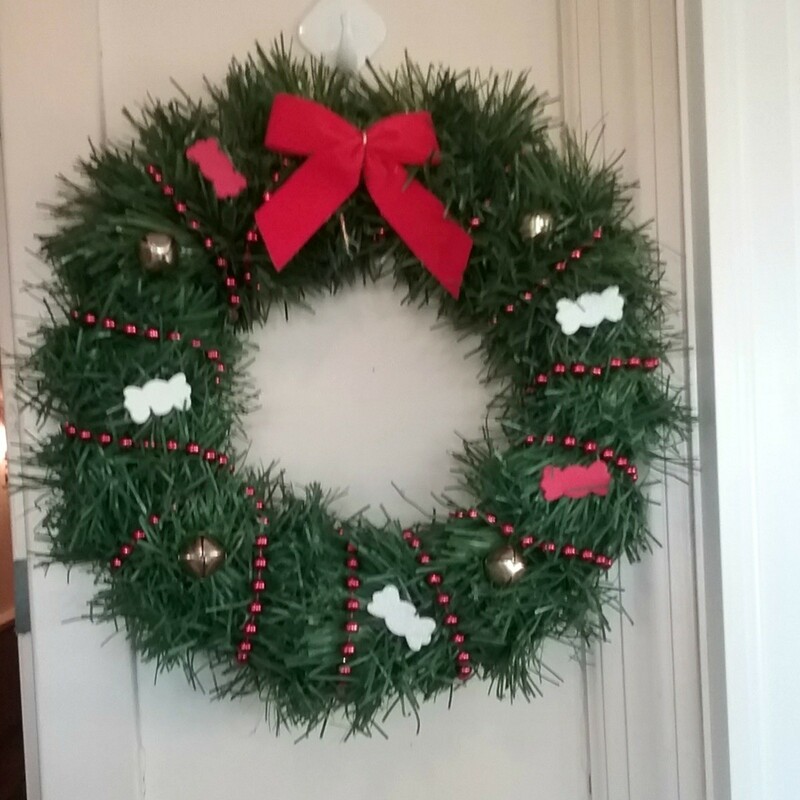 Use additional wire to make a hanger for your wreath. Nestle small gold balls into the tulle around the wreath and glue them in place. I made these mini-wreaths for Christmas this year. I use the rims of two plastic yoghurt containers facing each other, then wrap natural string around the entire circle. I then go out into nature and start collecting things to glue onto my wreath. Find a pine tree with branches close to the ground. Cut enough branches for you to make a wreath. Make a circle base with the branches and then build on with other branches. I used twine to bind the wreath, you can use craft wire or even ribbon. 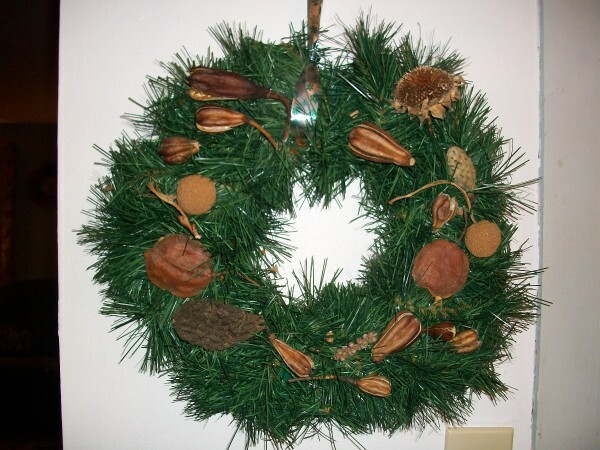 I love to hang wreaths all around my home for the holidays. I decorate with any and everything! I took this and that and made a nice wreath for our front door. You will never be able to duplicate this, but with your creations you can make your own "recycled reath"! Handmade Christmas Wreath. 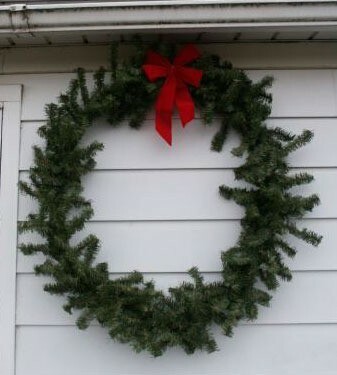 A couple years ago, I needed a new Christmas wreath for the front door. Being frugal, I wanted to see if I could make one just as nice but more inexpensively than new. Take lace 12 inches long and fold over 1/4 inch and sew the seam. You can slip 5 inch pipe cleaner through it to make a wreath. 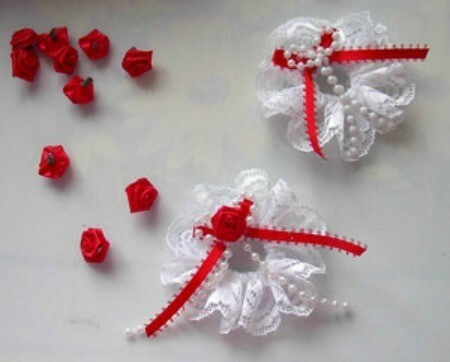 Then make a bow with pearls, cut about 6 inches and then add a red ribbon bow and a small rose. Voila, homemade gift! 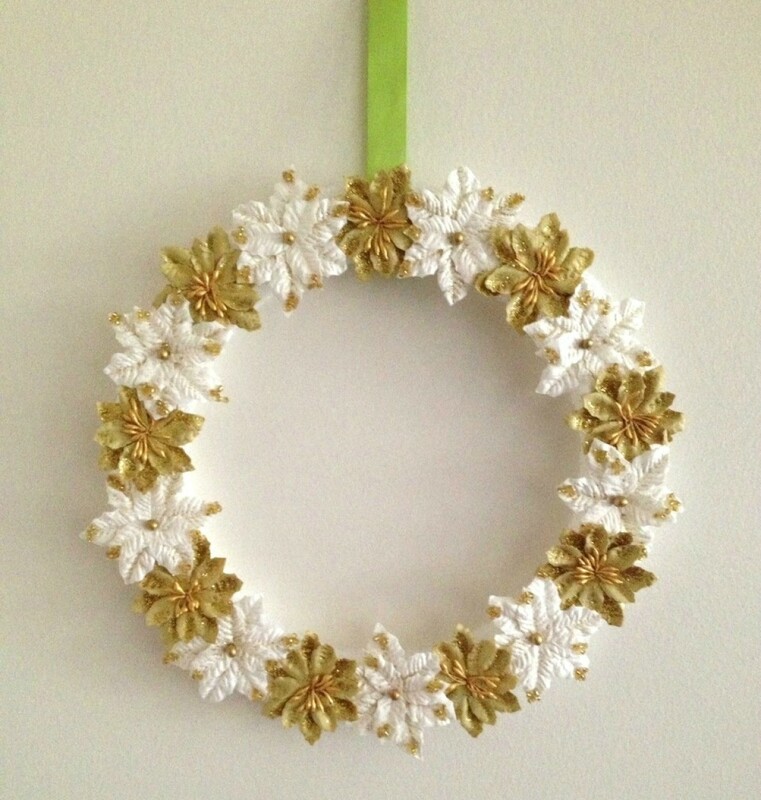 I have never been one to do crafts but I find myself this year wanting to make a Christmas wreath. I have no idea where to start. All I really know is I would like to make it cheaply and easily. I figured I could buy one of those $5 Walmart plain green wreaths and start from there. Any help or ideas would be wonderful. Thank you. I started making home made wreaths 2 years ago. I had never made them before until then because I thought it would be too hard. These are easy to make! I re-used a wreath frame from a previously purchased wreath and just took the trimmings out. I'm sure you can purchase a wire frame at the craft store. While purchasing my tree at the farmer's market, I picked up more of the tree pieces that were cut off, for free! Gather up the pieces and using pliers, snugly tighten the frame piece around the pieces. I zip tied the pieces together first, and then strapped them to the frame. Do this all around the frame. Last year, I used pine cones sprayed blue and white with glitter and hot-glued them on the wreath, along with a blue and white snowflake decorated ribbon. The year before was red and gold themed, with apples, pears and the like, with a red ribbon. Use your imagination! It may sound hard, but I am craft-challenged and was able to make it easily. Good luck, and Happy Holidays! I use wire to attach live greenery I have collected from fir trees. I wire each branch piece on and go around my form, attaching the greenery as I go, making sure each piece is well attached. You can also use artificial greenery. After attaching the greenery, I then wire or hot glue on my decorations, add a large bow and presto all done! I love the look of different sizes of silk pointsettia, traditional red or pink, silver gold. Wired bunches of balls in coordinating colors would look nice too and put a huge but simple wired ribbon bow at the top of the wreath(I always do this first) then wire or hotglue flowers with ball bunches in between around the rest of it. Spray snow looks nice after its done as a final touch. I made a pink and white one like this with silver balls that so pretty that my mom snapped it up for her door before I could use it on mine! You can buy all sort os little wreath decorations at the dollar store to decorate the wreath with. If you want to cover it with something, nurseries sell cedar very cheap and it smells so good. I make wreaths with vines-wild grapevines, honeysuckle vines (wild Japanese honeysuckle is everywhere here, a real pest!) or Kudzu vines. Strip the leaves off and hold it together in a circle and commence to twine the vines around each other. Be sure to use while green so the vines are pliable. Use pieces easy to work with and tuck ends in at beginning and end. 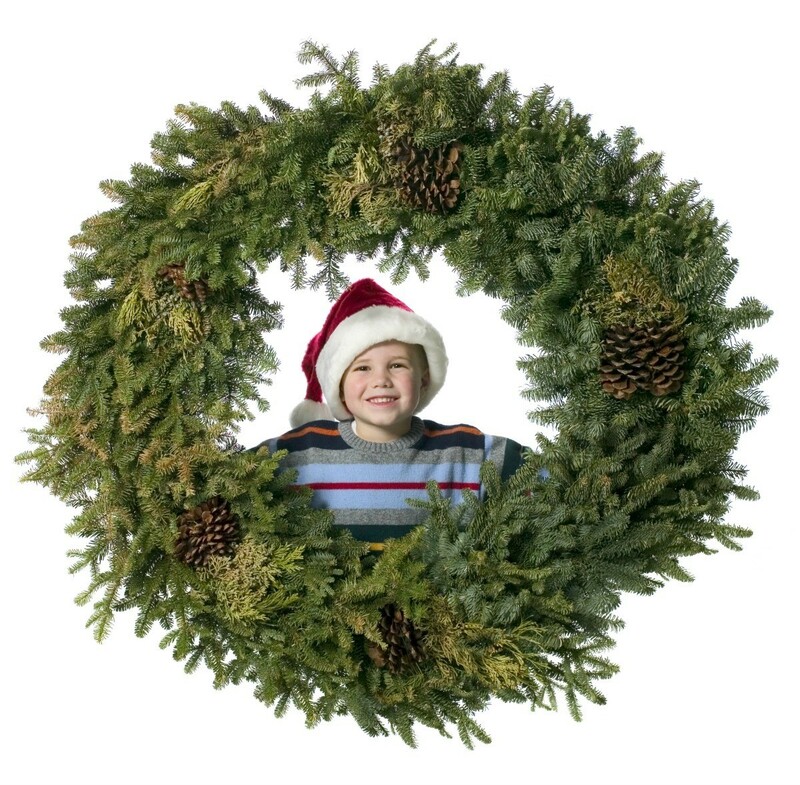 When you have the wreath the size you want you can attach greenery, Christmas decorations, ribbon, etc. as you want. I like to twine the ribbon around and attach a fluffy bow and attach a swag of Christmas decorations. You can find ribbon and decorations at walmart, the dollar stores. 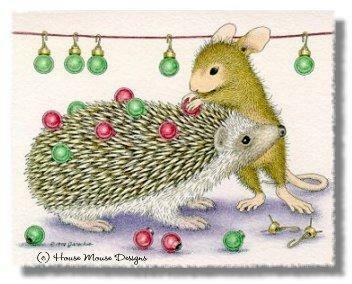 I like to pick them up after Christmas when they are marked way down and save them for the next year. 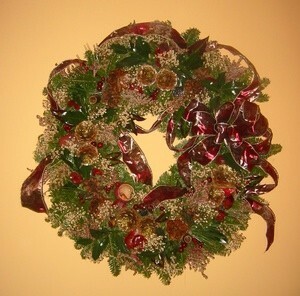 You can also put dried flowers or anything else on these wreaths for any holiday or year round decor. You can make them rustic/country or chic, just use your imagination. The materials are out there free! I made my 1st Christmas wreath last year. I bought one of the $5 craft wreathes from Wal-Mart & the little Christmas stick bush-type decorations from the dollar store (fruits, tiny packages, tiny tree ornaments, etc)--the ones that are 2 for $1. Then I gathered large acorns from our downtown square & pinecones from the schools yard. I lightly sprayed the pinecones with clear adhesive & rolled the tips in different colored glitters. I reinforced the caps of the acorns with glue (the nuts WILL fall out of the caps) & I took colorful oak leaves & ironed them between waxed paper to preserve the color & trimmed the waxed paper really close to the leaves. I arranged everything on the wreath before hot glueing it into place. I took apart a clothes hanger to make a hanger for the door. My wreath turned out really colorful & I've gotten a lot of comments on it. I spent less than $15 on it & I've seen some really EXPENSIVE ones that aren't nearly as nice! For years I've made pine cone ornaments for my Christmas tree by leaving either plain (which I like better) or spraying with glue & glitter or gold paint--tie a pretty, narrow ribbon into a bow & secure it to the pine cone with a decorative thumbtack at the stem end--very pretty! I'm with Elaine on one of the above posts. I wait until after the holidays and all the decorations are marked down 90%, you can pick up the "makins" for a dozen wreaths for less than five bucks. I make them in my spare time during the year and give them to friends or neighbors when folks start doing their holiday decorating. You could make your own form for next to nothing. on a piece of plywood lay out a circle with a compass such as a piece of string, nail in the center and pencil. put a hole every 5 or 6 inches and put pegs in them. then just weave the old grape vines, honey suckle vines, just about anything that's pliable around the form making sure that the ends are tucked in snugly. When it's done just lift it off of the form. you could probably use a bucket too. This is a guide about making a snowman wreath. 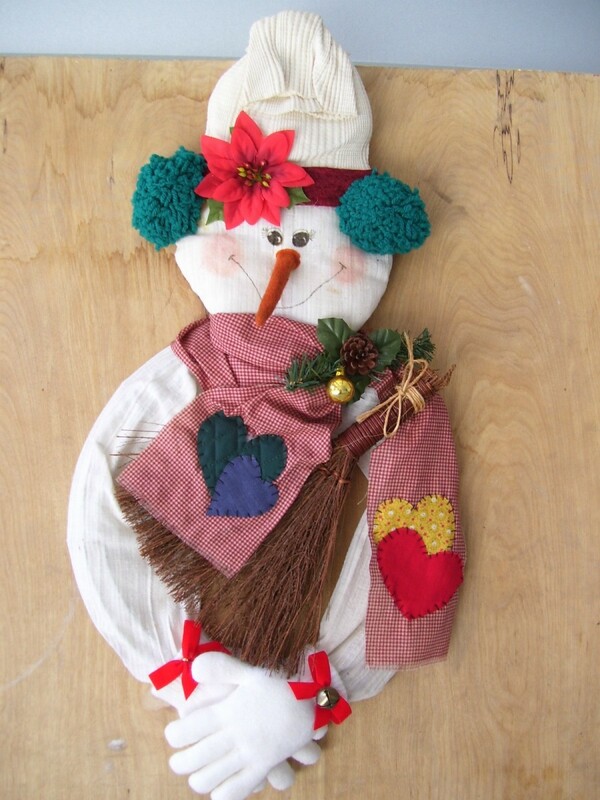 Make a cute snowman wreath to decorate your home for the winter holidays. 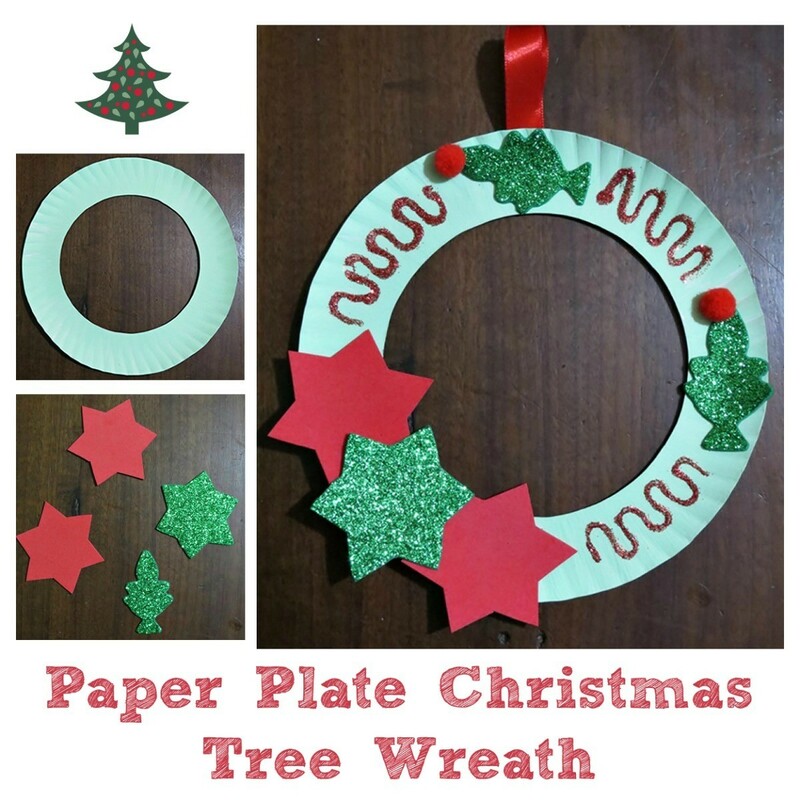 This is a guide about making a paper plate Christmas tree wreath. Here is yet another cute craft that begins with the humble paper plate. You and the kids can make this fun decoration for the holidays. 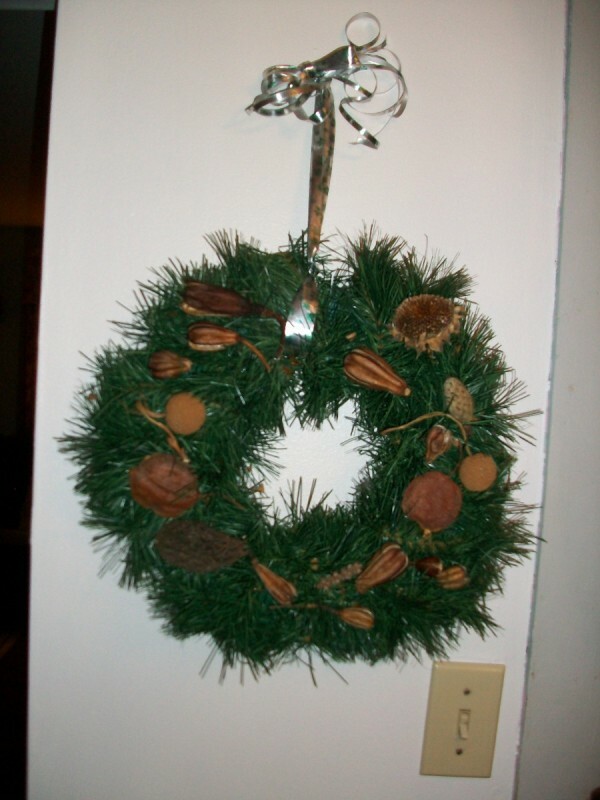 This is a guide about making quick and easy Christmas wreaths. You don't have to spend a lot of time making a festive wreath for your door. 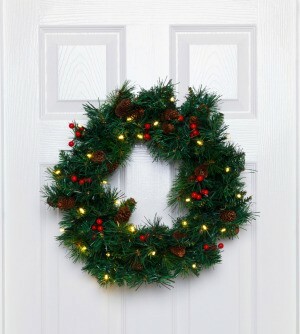 Here are some quick and easy Christmas wreath ideas. This is a guide about making a giant Christmas wreath. If you have an area outside where you can mount a large holiday decoration it would be fun to make your own giant Christmas wreath. This is a guide about making a Christmas wreath with a Hula Hoop. 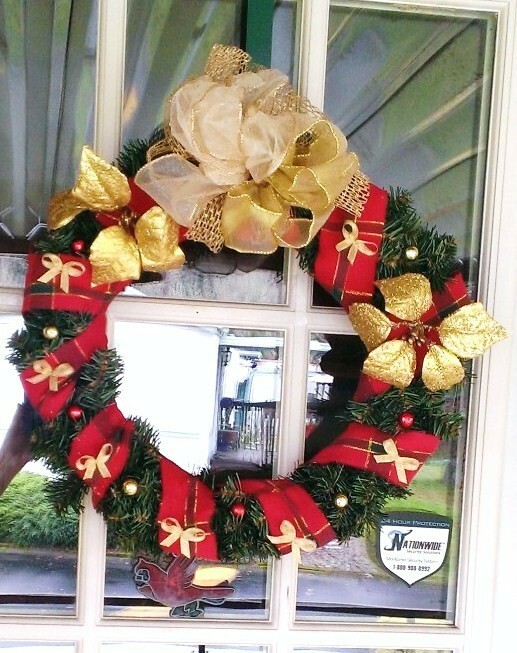 Using a Hula Hoop as the form, you can make a large outdoor wreath for the holidays. 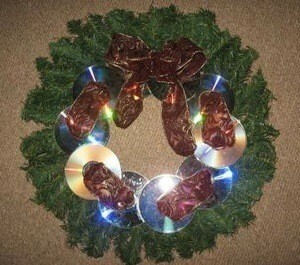 CDs lend sparkle and shine to a homemade holiday wreath. 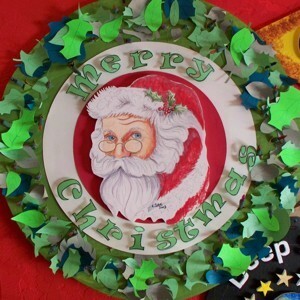 This is a guide about making a CD Christmas wreath. This is a guide about making a paper poinsettias wreath. The poinsettia motif is popular for holiday decorations. Make a pretty paper poinsettia wreath for your home or office.